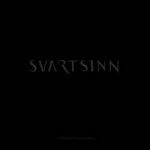 Genre/Influences: Electro-ambient, space-electronics, synthesizer music. Background/Info: Norwegian artist Glenn Main has been inspired by the greatest and most legendary synthesizer musicians in history. It for sure is an element you directly will hear in his composition. Member of Argh, he also released several solo-albums. This particular album is a tribute to Jean Michel Jarre and more specifically to the late 70s ‘debut’ period from “Oxygène”, “Equinoxe” and “Les Chants Magnétiques”. Content: Covering a living icon like Jean Michel Jarre always is something tricky. Glenn Main did it as an ode to one of his ‘idols’. He reworked and arranged some of the biggest early hits of Jarre his own way. The songs are pretty recognizable and fully entertaining. You for sure will recognize the typical space-electro spirit from the French composer while Glenn Main added a ‘modern’ touch on top. + + + : I was a bit skeptical when inserting this disc in my CD player. I’m still convinced there are a few artists you should never cover. It’s not about blasphemy, but just the absolute recognition from some artists’ –like Jean Michel Jarre, genius. 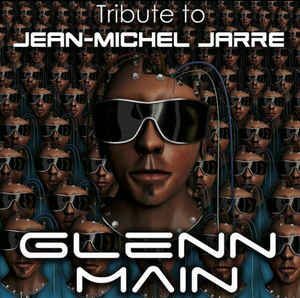 But quite progressively I realized that Glenn Main is not taking himself for Jean Michel Jarre, but just wanted to bring an ode to a musician he simply ‘loves’. Of course it’s an emulation, but I think it’s a good one and one with some delicacy, respecting the original work and adding a very own touch on top. I think it will be also a way for young music lovers to maybe discover the work of the one and only Jean Michel Jarre, which is also in my portable CD player. – – – : Despite of the credible and cool interpretation, there only is one Jean Michel Jarre and this album is missing details and the truly vintage spirit of the late 70s. 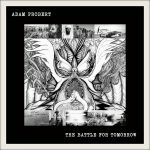 Conclusion: This album makes me think to an interpretation of a classical work from Beethoven, Mozart ao by a classically trained musician. Some get pretty close to the real spirit of the work, others not. Glenn Main did a real acceptable and honest job! Best songs: “Magnetic Fields, Part 2”, “Oxygene, Part 4”, “Equinoxe, Part 4”, “Equinoxe, Part 7”. PS! Check out Glenn Main live in Oslo, this Friday August 18th. The monthly held The Altern80s Club will include a live set, Pet Shop Boys release party and more – join here!